It occupies the tropical forests of South America and has the distinction of living exclusively at night. Its belly is usually gray or light orange/brown, its face white, marked by large eyes (not unlike the owl). 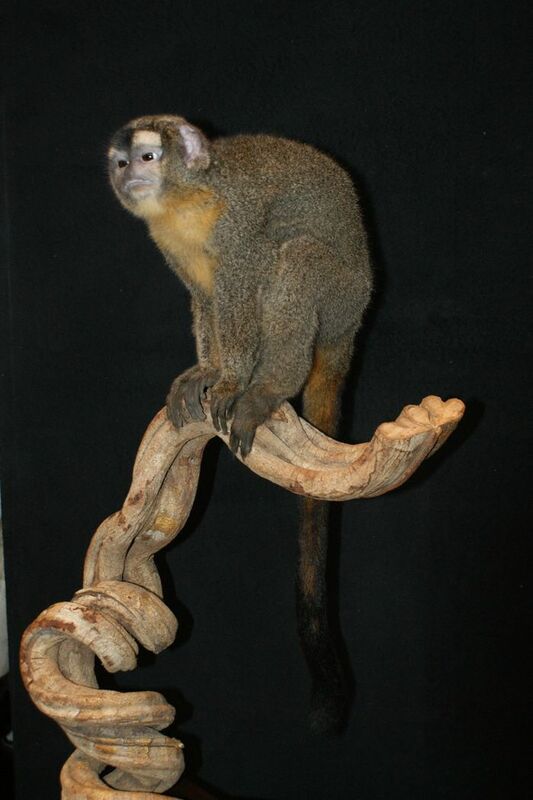 With a very long tail, sometimes of equal size to the entire upper body, this aotus is able to maintain an outstanding balance when jumping from tree to tree to pick fruit or hunt small birds. Its discreet animal reputation is well deserved, since hunting and generally moves noiselessly, cushioning its fall, strolling quickly, thanks to its light weight and flexibility. The douroucouli also using its nyctalopia: its eyes are fitted with a larger amount of sticks that the normal human eye, but the number of cones is reduced. So it orientates perfectly and totally distinct environment by extremely low light; however, its color vision could, according to some studies, be distorted. Furthermore, its special features for less surprising is the fact that it can reproduce solely by means of its throat, numerous sounds, from cries of beasts to sounds reminiscent of a bell or a gong. 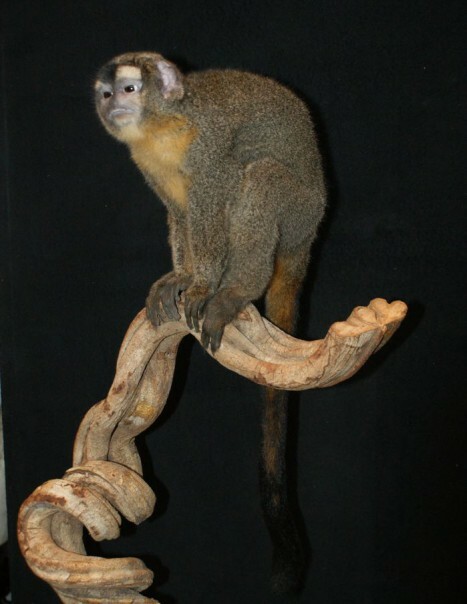 On a social level, the owl monkey groups in small communities of a few dozen people at most, each usually occupying the same hollow trunk during daytime sleep.